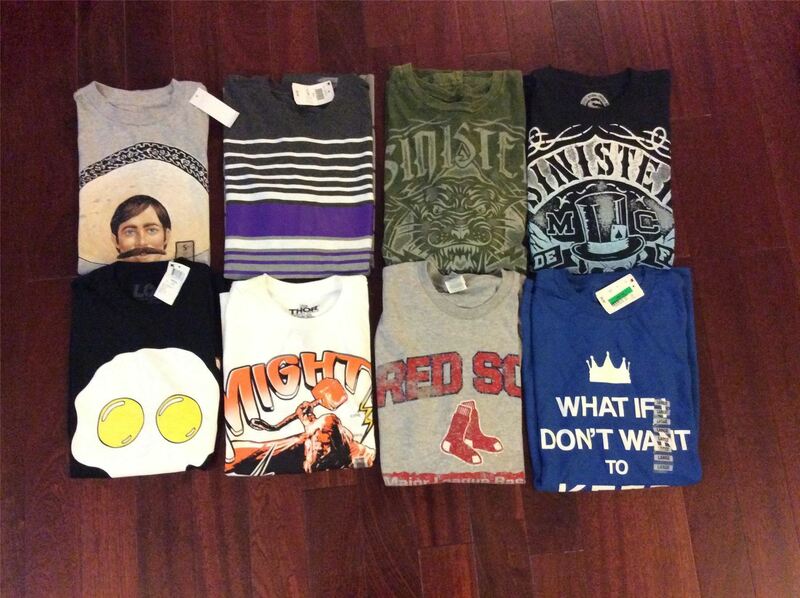 You are purchasing a wholesale lot of brand new assorted MENS clothing. Sizes are mixed between SMALL, MEDIUM & LARGE ONLY. Includes a mixture of shirts, shorts, pants, jackets, etc. Brands may include: David Taylor, Route 66, Hanes, Wrangler and more. The images in this listing are not actual images of what you'll be receiving but a representative sampling of what is in the lot. Click the button below to add the Wholesale Lot Of Assorted Mens Clothing, Size S - L BRAND NEW to your wish list.